Click here to view our Level 2 Affidavit, or send us an email to find out more. IMPACT was born out of Worx Group’s desire to create opportunities for those that need it. At Worx Group we believe in seeking opportunities everywhere, for everyone. It is with this in mind that we have built a specific unit whose main goal is to identify and action opportunities within our greater community. Our focus for IMPACT is heavily centred around education. 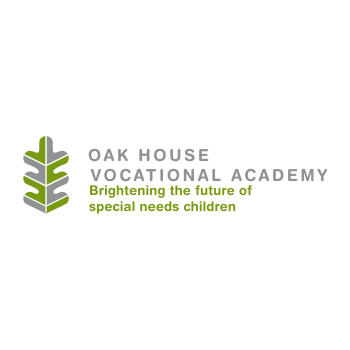 Special needs children have a special place in our collective hearts, so we focus our spend on disadvantaged special needs schools as much as possible. The skills set we have within our business makes us a unique partner for the right organisation, as we can put our team to work creating opportunities for them, helping them grow and in turn helping them to help the next deserving organisation. Our business has the privilege of operating with extremely trusted partners, suppliers, and clients, and through this community we hope to grow new communities and create better opportunities for all, everywhere! The possibilities exist within our industry to partner with and develop many smaller businesses and assist them in a variety of ways. From identifying potential new business opportunities to mentoring existing smaller businesses and even helping current partners to refine and adapt their product or offering to the industry, we carefully select businesses where we know that we can make a difference and create opportunities at the same time. These businesses are embedded into our system in one of 4 tiers. This model allows us to assist multiple partners on multiple levels with the specific requirements they may require from a company like ours. An established business who requires business acumen, guidance, and growth planning. New business, start-ups who need resource, infrastructure, skills training across all elements of their new enterprise. Projects close to our clients’ hearts where we are able to add our skills to improve the project. Projects close to our suppliers’ hearts where we are able to add our skills to improve the project. close to many employees hearts and minds. We believe strongly in the internship process to grow staff members and skills. We choose our interns carefully, with an emphasis on overall development. They are contracted and salaried, as we believe that, while learning is invaluable, earning a salary adds a sense of worth for the individual which is equally important. Interns are treated as full employees, attending all company related activities, spending time in from of our clients, negotiating terms with suppliers etc. Worx Group also offers a work experience programme, giving children from underprivileged and special needs backgrounds the opportunity to gain real experience in a working environment with us. Worx Group’s founders and directors believe strongly that mentoring of young entrepreneurs and business owners is a critical part of the Enterprise Development path for Worx Group and small businesses in our sector. Our CEO and Senior Management team dedicate significant time every month to mentoring in this space with the ambition that these small businesses with our help, will grow, become partners, suppliers, maybe even clients of ours in the future. Worx Group runs internal training and educational sessions for all staff in the form of In the Mix and Expert sessions. In the Mix is an internal knowledge sharing platform run by senior team members which is designed to share knowledge internally, while Expert sessions invite external speakers and experts in their field into our office to expose staff members to new insights and opinions within our industry. By doing this, all staff across Worx Group are given the opportunity to learn and improve throughout their time with the company.